Did you know that properly pruned trees actually live longer? Did you know that they also maintain a pleasing appearance when properly pruned? Tree pruning and tree felling in Perth helps your landscape flourish because it addresses architectural tree care concerns such as tree appearance, shape, risk, and structural integrity. It also encourages air circulation, which “trims down” the possibility of damage from strong winds and extreme weather, as well as the spread of diseases. Tree pruning also removes weak branches that can easily fall in certain weather conditions, and allows more sunlight to reach your plants. 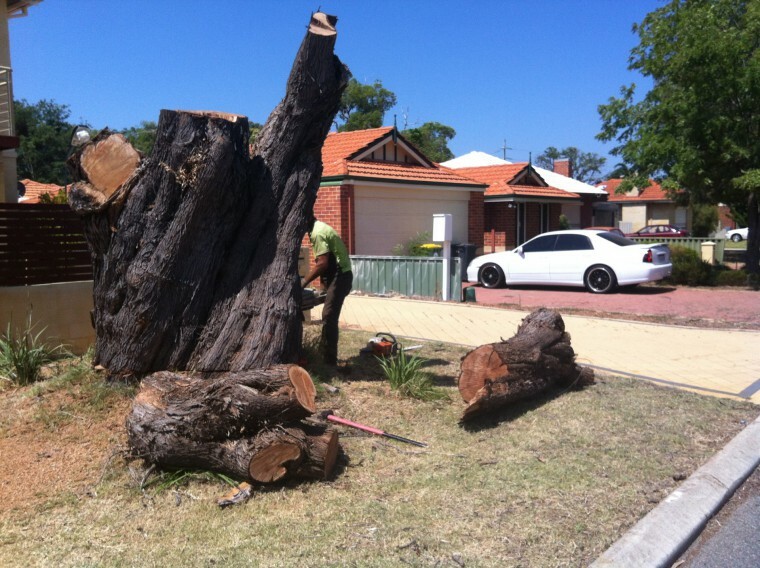 When performed by a certified arborist, tree pruning services in Perth can specifically enhance the natural beauty of your trees, as well as preserve their strength, seasonal character, and stature. Our Arborists are at least Certificate 3 trade qualified or higher. This qualification provides assurance our teams understand how to prune your trees in a manner that ensures tree health. We prune to Australia Standard AS 4373-2007 Pruning of Amenity Trees, which means tree health is the main objective while meeting your pruning requirements. Having a car serviced or repaired by a qualified mechanic gives you peace of mind in regard to safety and ensures a long life. In the same way our experts ensure your trees are pruned for both safety and the future health and life of the tree. Canopy thinning — creates more light through the canopy of the tree by selective removal of limbs to preserve health, this is also used when a structural inspection detects a potential limb failure. Deadwood — removes dead limbs back to main limbs. Prevents small dead branches from dropping to the ground and reduces the risk of falling limbs. Side pruning — is used to clear limbs or canopy overhanging buildings or structures, or interfering with vehicle access. Under pruning/or canopy lifting — clears lowering hanging limbs / branches that are interfering with vehicles, lawn mowers or people operating under trees. Selective pruning — involves pruning a specific part of the tree that is interfering with a cable, another tree or building. Formative pruning — is a method of training future tree growth. Beaver Tree Services is the name to call for tree cutting in Perth — that is if you want your landscape to flourish and last for years. Call us today for a complimentary tree pruning quote from Beaver Tree Services!